I just found these adorable leggings from Celegrity and I am in love with them!! These are so cute and completely customizable. 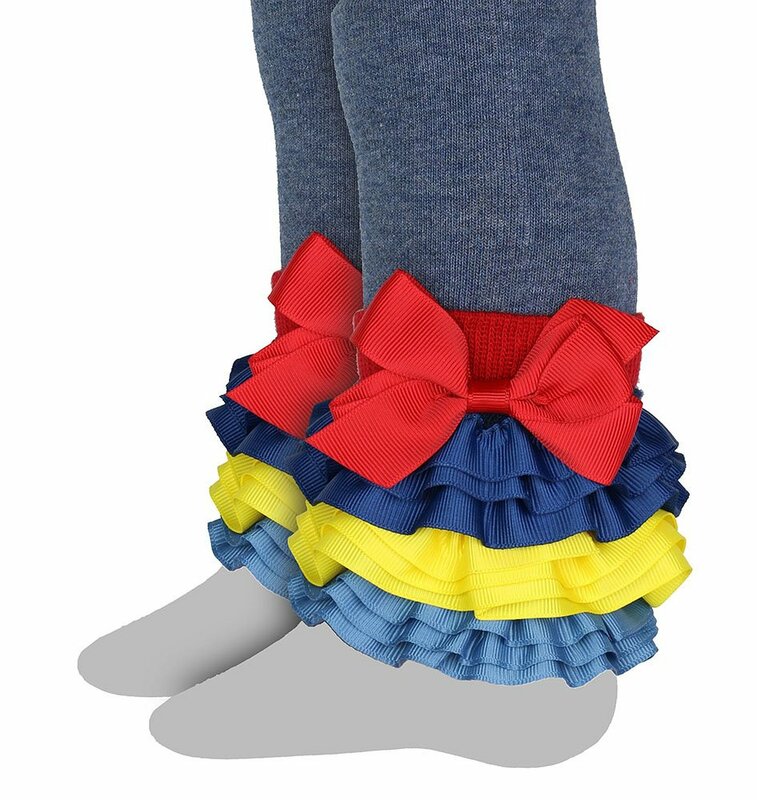 You get a pair of leggings and then different designed ruffles that you can add to them to give them a customized look. In our set we had a black pair of leggings and three sets of different colored ruffles that you can mix & match to create a design on the bottom of your ruffles. I love these because they can get a different look every time you wear them. My six year old just loves these, she likes to create new looks and wear them with her dresses. They are made of a great cloth material that is comfortable. They are pretty thick so she wears these more in the fall and winter months because they get to hot for summer but they are so so cute. They have a bunch of different designs as well so if you buy a bunch of different ones you can even mix & match between sets to create even more looks!! So fun and easy!